Activists hope a new non-partisan online campaign – based on a successful US user-led movement – could finally enable disabled people to become a political force in the UK, and play a significant role in deciding June’s general election. 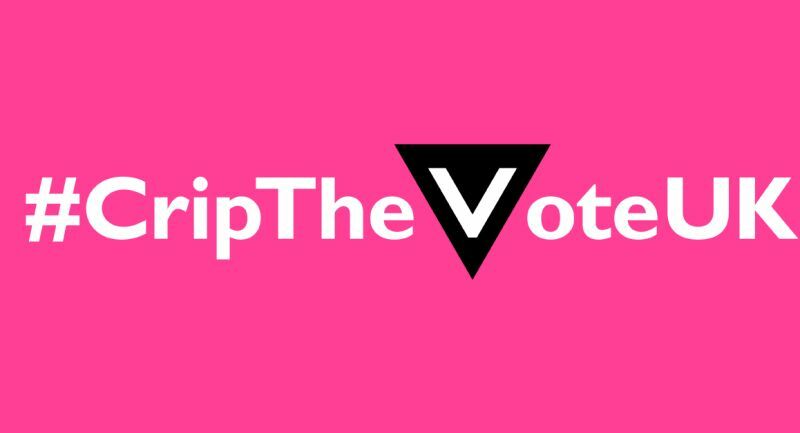 The hope is that the #CripTheVoteUK campaign will allow the millions of disabled people in the UK to use their weight of numbers to affect the election’s outcome. The campaign will not support any particular political party, but will encourage disabled people to register to vote and use social media such as Twitter and Facebook to discuss discrimination, oppression and inequality and the policies and practices that most affect them. Its first major action will be a #CripTheVoteUK Twitter discussion on the Department for Work and Pensions and benefit cuts, on Sunday (30 April) from 7-8pm, hosted by the disabled political journalist Dr Frances Ryan. Other Twitter chats are likely to include independent living, inclusive education, and the threats to disabled people’s rights of a “hard Brexit”. #CripTheVote was launched by three US disabled activists who were frustrated at the failure of the 2016 presidential candidates to talk about disability issues. The trio – Gregg Beratan, Alice Wong and Andrew Pulrang – are now supporting the UK extension of their movement, after being approached by Canadian disabled activist Alex Haagaard, who had asked if they were planning any work around the snap UK election called by prime minister Theresa May earlier this month. 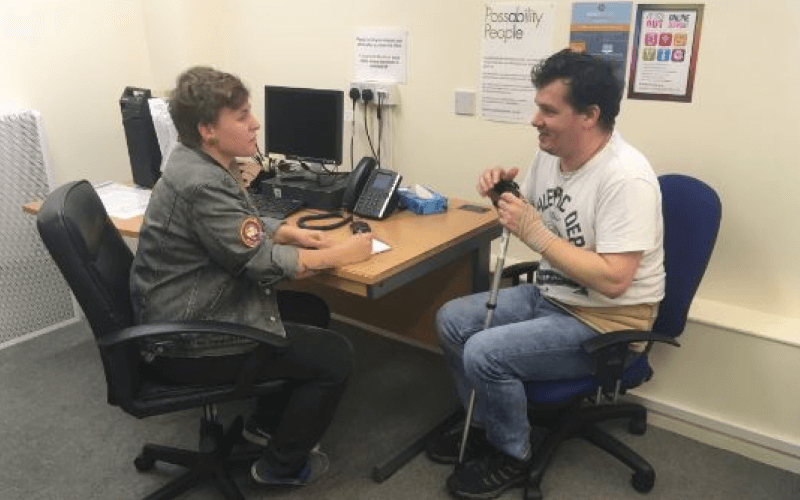 They put Haagaard in touch with disabled activist Eleanor Lisney in the UK, and the two of them have recruited other experienced disability activists, including Rick Burgess and Dennis Queen, to organise and lead #CripTheVoteUK. Lisney said: “We want to make enough noise [so that politicians]realise that disabled people are a big proportion of the population and that they cannot disregard our voting power. She said it was crucial that #CripTheVote and #CripTheVoteUK were both “intersectional”, acknowledging that disabled people also face discrimination because of other characteristics such as their race, sexuality and gender. Lisney said the attacks on disabled people’s rights were so serious that the new campaign could save lives. Haagaard said she had become involved after spending a year in the UK, and joining an online narcolepsy support group. She said: “Since returning [to Canada]I have continued to watch member after member struggle with cuts to their benefits, assertions that they’re fit to work despite doctors’ letters to the contrary, and draconian reassessment cycles that leave them in a constant state of stress (which in turn severely exacerbates many of their symptoms). She said she accepted that “the fact this is a snap election with a very compressed timeline puts us at a disadvantage as an awareness campaign”, but she said she hoped that social media could play “a major role in changing the mainstream conversation” on the election. Burgess said he hoped the six weeks leading to the election would be just a “starting point” for what would be a long-term campaign, but the immediate priority was “getting people to make sure they are registered to vote and getting them enthused so they will vote”. “We have to be realistic about the position we are in and critical of policy, regardless of who it’s implemented by. Burgess said he and others had started thinking about the idea of a more organised disabled people’s “voting block” following the successful WOW petition, which he helped organise and led to a House of Commons debate in 2014 on the impact of welfare cuts and reforms on disabled people. He said: “There are 13 million disabled people. If that was more organised and engaged we would be a serious electoral force that parties would have to listen to. “In the long-term, disabled people have to be more of an organised block of voters in the same way people talk about the grey lobby. Burgess said he hoped that #CripTheVoteUK would see disabled people taking on some of the influence currently wielded by the big disability charities. He said: “It is about fertilising and organising the grassroots. Power should come from the bottom, from the real people. “What disabled people want is not the same thing as what a corporate charity that represents disabled people may want. Beratan, who himself lived in the UK for 15 years, said #CripTheVote was “geared towards both engaging the disability community in discussing the policies and politics that will most impact our lives but also to use our collective power to amplify the community’s voice on these issues”. And he said that “shrewed” politicians would use #CripTheVoteUK to engage with disabled voters. He said he and his colleagues had been more than happy to advise on setting up #CripTheVoteUK but “have been clear that #CripTheVoteUK needs to develop into whatever the UK disability community needs it to be. Although he did not want to speak for the UK organisers, he said it had been “very important” in the US to keep #CripTheVote “nonpartisan”. He said: “Most of the evidence out there shows that the disability community breaks all across the political spectrum, but as we’ve seen many times, with the issues that affect our community most, partisan allegiances fall away. And he said he saw a lot of similarities between the two communities. He said: “We’ve both been largely ignored by the mainstream political discourse, and are both more likely to be scapegoated than engaged with.